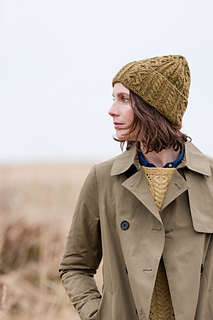 This deeply textured watchcap has a twist: the cabled fabric adorning the main body of the hat is mirrored on the faux fold-over brim. 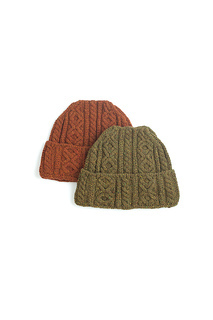 The shape of the crown and the classic OXO cable motifs are a nostalgic nod to the woolen workwear of fishermen. 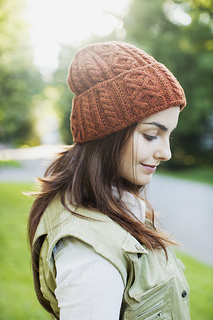 Forge is worked from the top down, so you can customize the finished length to form an elfin peak or a close beanie fit. 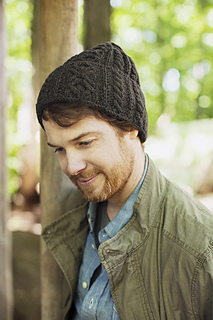 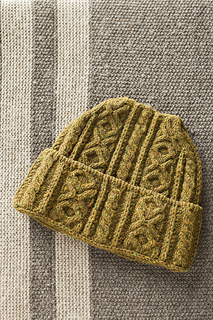 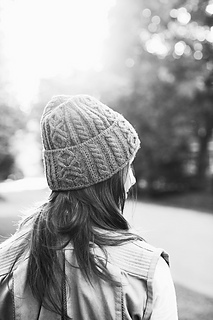 Brim and body are worked separately and joined with a clean, decorative bind-off around the hat’s base. 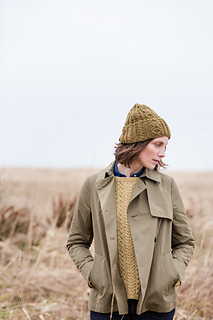 Knit Forge in a bright accent color or a subtle natural tone and add a rugged, classic note to your wardrobe when the weather turns cold.